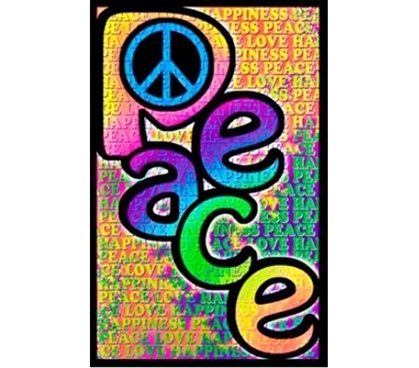 Bring some cool, glowing tranquility to your dorm room with this peace poster for dorms! A cool poster for college students can be cool for a variety of reasons, and we think you'll find the blacklight feature of this poster for college to be extra cool. By holding a blacklight up to this poster for cheap, its true colors will shine and its blacklight effect will show through! While you probably won't have a blacklight on at all times in your dorm room, when you do, the visual effect that this poster will produce will give a unique vibe to the rest of your dorm decor!